The Physics of Life network 2 is an EPSRC/BBSRC national UK network aimed to bridge research between physicists and biologists. One of the network’s objectives is to train and equip the next generation of scientists for this interdisciplinary field through network organised summer schools. 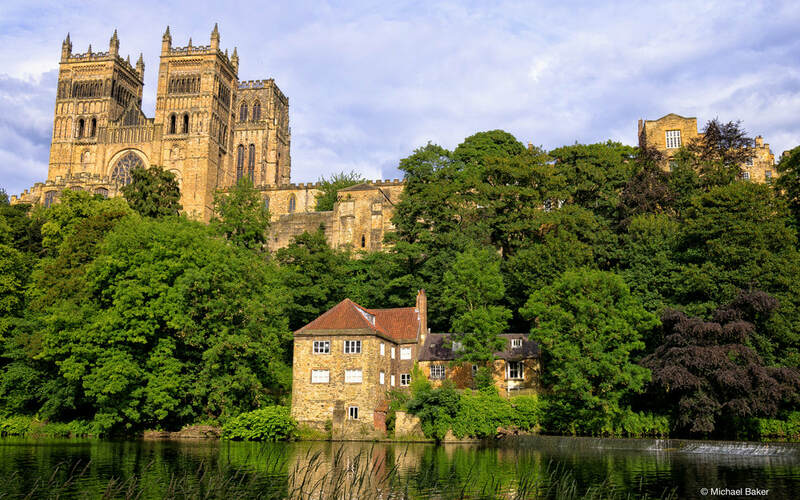 The network will hold its second summer school in Durham from 15-19 July titled “From Cells to Tissues and Organisms”. The academic interdisciplinary summer school program will consist of invited guest lectures, networking and poster sessions (day 1; 15 July) and 7 mini courses (2 hour lecture + 1 hour interactive session) (days 2-5; 16-19 July). Social activities, including a conference dinner (day 2; 16 July) will also take place. The audience is expected to comprise of early career researchers (postgraduate students, up to early career research scientists) from different science backgrounds (Physics, Chemistry and Biology). Its state of the art research coverage is designed to provide a valuable introduction to biophysical research for junior researchers. with a view of the most recent and exciting research across a broad range of topics and scales. The summer school will run from 15-19 July (starting Monday morning and finishing on Friday afternoon) and will provide an intensive scientific programme encompassing the latest in biomolecular experiment and theory. The school will provide the opportunity for attendees to immerse in state-of-the-art expertise in an intensive environment, giving a broad and deep cross-disciplinary framework from within which to approach the Physics of Life. Attendees will also present their work through poster presentations. A variety of lectures and interactive tutorials will provide focus on interdisciplinary career development and broadening skills. Social events (including a conference dinner) will allow participants and course deliverers to network and interact in an informal setting. The School is aimed at early career scientists – particularly postgraduates (Masters to PhD students and post doctorates). Participants are expected to hold a basic knowledge of Biology and/or Physics. European and International attendees are welcome to attend this summer school. The closest airport to Durham is Newcastle International (approximately 40 minutes from Durham by train or taxi). For information relating to travel, please email k.h.baker@durham.ac.uk. The summer school will take place at Durham University. Lectures will be held at Durham Business School, accommodation will be at nearby Stephenson College. Standard single college rooms with en-suites and continental breakfast will be provided. For location information, see Maps and directions. If you have any questions about this event, please contact Karis Baker, Network Coordinator at: k.h.baker@dur.ac.uk. The summer school is heavily subsidised by the Network this means the registration fee is kept at the very minimum. It thus represents exceptionally good value for money. Please let us know at the time of booking if you have any dietary or access requirements so that we can endeavor to meet them. Includes accommodation check in: Monday 15 July, check out: Friday 19 July with continental breakfast, lunches, dinners (including the summer school 3 course dinner) and all social activities are included in this price. Package 2 £130: *includes additional night stay, ideal for those for those who will be traveling long distances. Includes accommodation check in: Sunday 14 July, check out: Friday 19 July with continental breakfast, lunches, dinners (including the summer school 3 course dinner) and all social activities. Arrival: Please note all attendees are expected to arrive for registration on Monday 15 July. ​Registration deadline: Places will be allocated on a first come, first served basis. There are 50 places available. Registration will close as soon as capacity is met. Cancellation policy: In the event that you would need to cancel your place on the Summer school, full refunds can be only be made up to June 1st 2019. The poster session offers an excellent way for participants, speakers and visiting academics to discover the range of expertise and interests amongst other meeting delegates, to spot potential collaborators and topics for discussion later in the meeting. Each participant is therefore required to bring a poster, summarising any aspects of individual research (including interests or results). It is acceptable to bring an existing poster. Poster sizes can be up to standard A0 (118.9 x 841 mm / 46.8 x 33.1 inches) in portrait or landscape. Information about specific research questions that you intend/would like to tackle in the context of existing literature. Information on why you chose to attend this summer school can also be included. Description of research ambitions, future direction and potential importance. The poster session will see attendees split into two groups. On day 1, (Monday 15 July) group 1 will present and on day 2 (Tuesday 16 July) group 2 will present. During each session an academic group (formed of speakers and organisers) will view the posters and award a prize for the best poster from each group. Once registration has closed you will be notified which day you have been allocated to present on. Any questions, please email: k.h.baker@dur.ac.uk.